Tai Snaith’s exhibition of watery portrait paintings comes with quite a story. Watery Rorschach butterflies blossom from an idea about a woman who was neglected. A person who deserved to be recognised. One of the many charms of Tai’s artwork is that she paints this person as many people. Simultaneously emphasising her presence as a person and diluting personal recognition. We recognise her individuality as a person by recognising her universality as a character. So who is this person? This ‘Sunday Painter’. Her name is Giogia de Vivre and she is revealed to us in portrait paintings of what Tai thinks she might look like, and also in stories written by Tai’s peers, at her invitation. A series of portrait images depicting an under-appreciated Sunday painter, and a series of written stories about how she has influenced the people around Tai. What the artist has done is build a profile using multiple modes of identity construction – a literal picture and a literary narrative. The paintings are produced by her own hand and I’ll come to them separately because there’s something especially strong about them. The written stories are collated from her friends’ talents of imagination and writing. The reason I point all this out is that this show is a clever installation. It combines a curated element with an artist-produced element. This is artist as both artist and curator. Without forgetting, of course, the artist as writer in the concoction of the artwork as a whole, premised as it is on a story. Only a hack would risk throwing a term like mini-gesamtkunstwerk into the paragraph at this point. Too late. The paintings, then. Let’s talk about those. 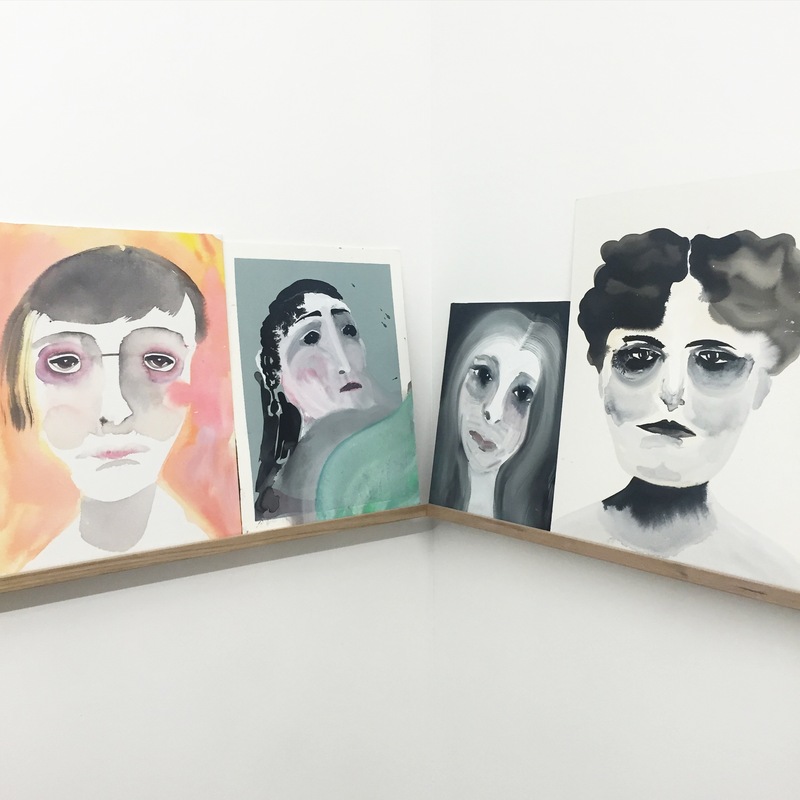 Liquidy, ink-bleeding portraits of a woman who looks, almost uniformly, a bit sad. Or a bit alone. Definitely a bit … washed out. Even though she’s sometimes smiling. She’s a blond 1950s movie star. She’s an anxiety-ridden Xanax pilot in her mid-20s. She’s a faded 1970s rock star. She’s a thin mumsy mum from Ashburton in 1997. Tai has painted a variety of Giogias because we just don’t know for sure what she really looked like. But rather than lose a sense of identity in the crowd, Tai manages to conjure a singular identity in a complexity of characters. Each painting is slightly stylised but remains within a certain parameter, mostly dictated by the use of transparent, washy colouration and form. 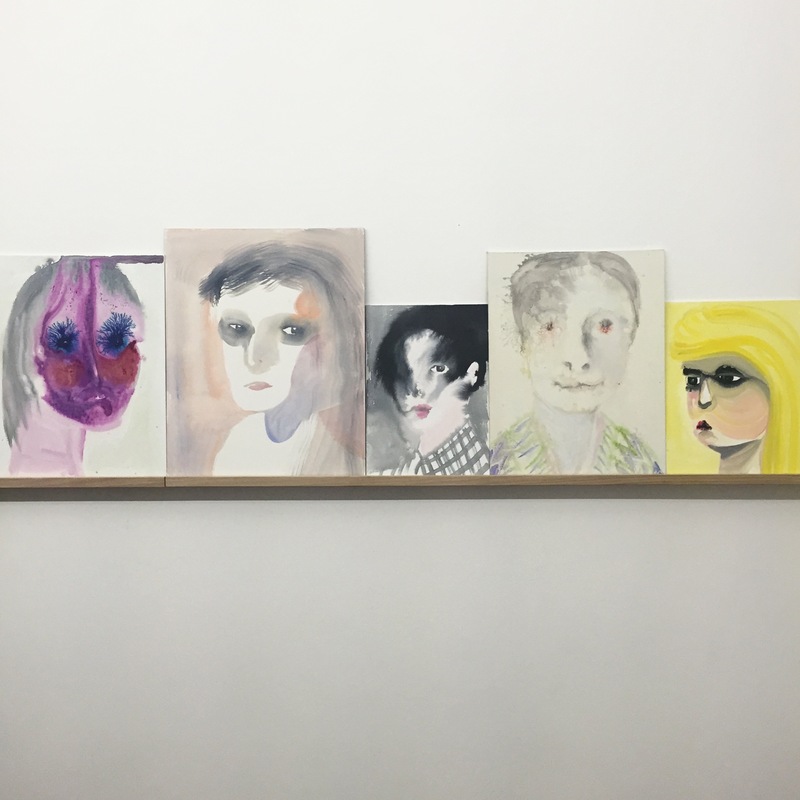 For those playing at home, you might think Marlene Dumas and Daniel Richter and Adam Lee. But that’s fleeting contextualising and you’ll head back to the uniqueness of Tai’s own voice. Naivety embraced, less so for those mentioned. A couple of these paintings could break from the formation and stand alone as highly desirable pieces of art. Quite spectacular paintings. Collectively though, is where the show holds its potency and delivers the most reward to both eye and mind. Lovely stuff. Tags: Bus Projects, Tai Snaith. Bookmark the permalink.